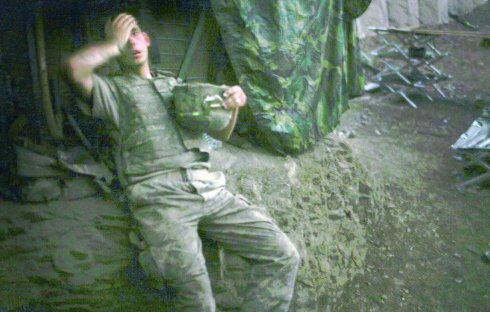 This picture was taken on September 16th, 2007, and shows a US soldier in Afghanistan resting at "Restrepo" bunker, named after a soldier from his platoon who was recently killed. "Trump has become everything he campaigned against." -Bill Bonner (From his 04/28/2017 article, "Trump Is An Insider Now").